As I'm sure most of you are aware, the Canadian Mixed Curling Championship, hosted at the Fort Rouge Curling Club, ended in storybook fashion. 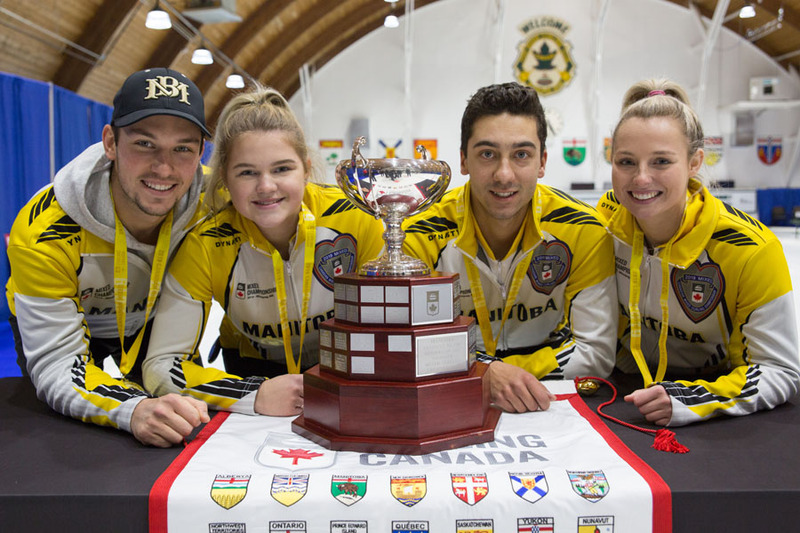 Manitoba's Colin Kurz (third Megan Walter, second Brendan Bilawka and lead Sara Oliver) defeated Nova Scotia in the Gold Medal game for the hometown victory in front of a packed house Saturday afternoon, at the club. This brought to a close a great week of championship curling hosted by our club. "Thanks to...the wonderful volunteers from the ⁦⁦Fort Rouge Curling Club..."
"Home from the Canadian Mixed Curling Championship. Had an amazing experience and can’t thank the volunteers, host committee, Fort Rouge Curling Club, and Curling Canada enough for all their hard work." "Home from Winnipeg and wanted to send a shout out and “THANK YOU” to Brad and all the members of the host committee & volunteers at Fort Rouge CC for putting on a great event! Well Done!"